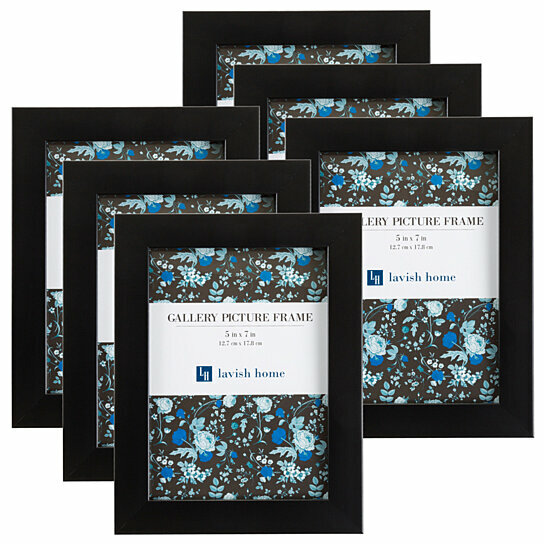 Easily hang or stand to create an elegant photo gallery on your wall or table with the Lavish Home 5" x 7” Frame Set. The six modern black frames stylishly allow you to display photos, artwork, postcards, and other collectibles that you wish to showcase in your home or office. This gallery set is the ideal way to preserve and cherish your memories for years to come!